Georgia’s State Agency for Religious Issues is accusing NGOs of fomenting radicalisation and terrorism in the country. Others, however, consider civil society vital in any attempt to prevent it. This week, Georgia’s State Agency for Religious Issues has made an unprecedented attack on civil society. At a parliamentary hearing on 6 May devoted to last December’s annual report on human rights by the Public Defender’s Office, representatives of the agency claimed that NGOs in Georgia are a driving force behind radicalisation. In a country with roughly 100-200 foreign fighters allegedly involved in Iraq and Syria, and a considerable Muslim minority, this is a sensitive allegation. 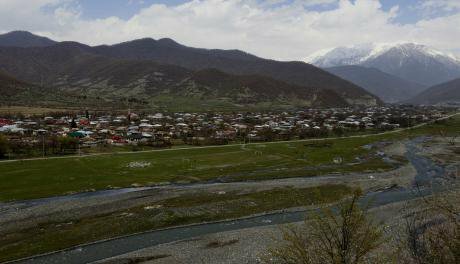 In recent years, the Georgian government has downplayed the threat of Islamic radicalisation. But these fresh accusations against Georgian civil society call into question the government’s ability to adequately address the problem. The State Agency, which implements the country’s policy on religion (especially in the area of financing as well as education and property), singled out the work of one NGO in particular, the Education and and Monitoring Centre (EMC). EMC has reported on the violation of the rights of Muslim citizens, as well as other religious and sexual minority groups, by adherents of the country’s majority Orthodox faith. 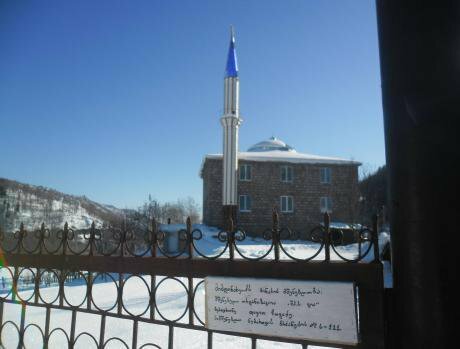 For instance, in the Black Sea town of Batumi, the failure to grant permission for a new mosque to cater for ethnic Georgian Muslims remains a major issue, and requests to open an Islamic cemetery in one village in Samtskhe-Javakheti were initially met with protests from Orthodox Christians. Naturally, these claims by the state have not only irked civil society in Georgia, but also the country’s Muslim community, who make up a sizeable 460,000 citizens out of a population of 3.7 million. Despite the recent launch of a Preventing Violent Extremism (PVE) Strategy by the United Nations Secretary General, Georgia has so far failed to adopt Countering Violent Extremism (CVE) measures intended to tackle the reasons for radicalising at-risk individuals. Instead, the Georgian government’s focus has solely been on tightening border controls and introducing tough sentences for joining extremist groups such as ISIS. Nevertheless, much publicised raids on the homes of suspected recruiters and supporters of ISIS instead seemed more intended for domestic consumption. CVE practitioners warn that highly publicised shows of force can be counterproductive in already marginalised communities. Indeed, as noted in UN Security Counci Resolution 2178, which calls on all member states to work to prevent the flow of foreign terrorist fighters to and from conflict zones, the necessity for CVE measures to be implemented by credible actors at a local level is vital. This means empowering civil society and key stakeholders in at-risk communities, and especially among youth, women, and religious leaders. The Georgian government, however, was at least quick to address what it considers to be the root causes of radicalisation following claims from Russian Foreign Minister Sergey Lavrov earlier this year. In his annual address on foreign policy, Lavrov alleged that ISIS was operating training camps in Georgia’s Pankisi Gorge in the northeast of the country. Given past military intervention in the early 2000s by Russia in Pankisi in pursuit of rebel fighters from neighbouring Chechnya, alarm bells rang in Tbilisi. Aware in advance that the claims would be made, the Defence Minister of Georgia, Tina Khidasheli, traveled the same day to Pankisi along with the U.S. Ambassador and other diplomats from the European Union. Generally speaking, Georgian officials have failed to look beyond socio-economic factors as a main push factor in radicalisation, and Khidasheli offered Pankisi’s young male residents the opportunity to pursue a career in the Georgian military. Thirty-three were reported to have enrolled. But while this move was welcomed by many, some analysts considered it too little too late. There are doubts that economics alone explain why radicalisation is occurring in Georgia. The Pankisi Council of Elders, for example, rules out poverty as a factor. Instead. they argued that imported Salafist ideology is to blame. Moreover, focus solely on Pankisi risks diverting attention away from other areas. Clifford says that a lack of opportunities for formal Islamic education and fragmented Muslim institutions allow more conservative forms of Islam such as Salafi Islam to gain a foothold. Although estimates, the Information Centre of Khakheti (KIC) puts the number of foreign fighters in Syria from Pankisi alone at 50 while the Georgian government claims 30. While Pankisi has preoccupied the international media thanks to the infamy of Abu Omar al-Shishani, a senior ISIS commander who hails from the gorge, the regions of Adjara and Kvemo Kartli, which have significant Muslim minorities, are also deemed to be at risk. 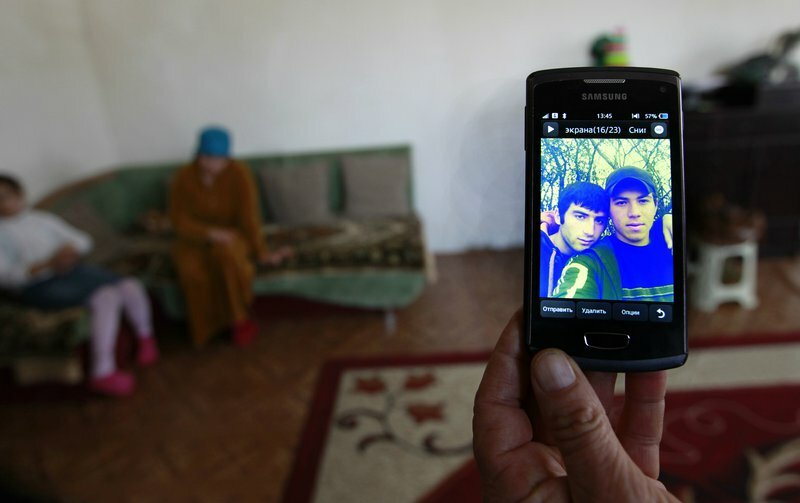 A photograph of a suspected Georgian recruit for ISIS, left on the screen, in a house in Duisi, Pankisi Gorge. (c) Shakh Aivazov / AP / Press Association Images. All rights reserved.As claimed by EMC and others, Adjara in southwestern Georgia is of particular concern due to growing tensions between its ethnic Georgian Muslim and Orthodox Christian population. Georgian-speaking ISIS fighters have already made threats against the country because of this situation, while cases of jihadist fighters and brides recruited among the region’s ethnic Azeri minority in the country’s southeast have also recently surfaced. Yet, despite the problem, representatives of the Georgian government have been noticeably absent from conferences, seminars, and working groups convened by the Organisation for Security and Cooperation in Europe (OSCE) as part of its “United CVE” campaign. Even neighbouring Armenia and Azerbaijan have been present. When I asked the Ministry of Interior why it and other ministries were absent, their official response was simply that their “competent person” was unable to attend for “objective reasons”. Despite the claims made by the State Agency for Religious Issues, civil society will prove integral to any successful attempt to deal with violent extremism. That necessity, however, seems to be lost on the government. Clifford agrees. “If unchecked, tensions between Christians and Muslims can contribute to the perception among Georgian Muslims that it is impossible for them to maintain their way of life in a Christian-dominant society,” he says. Step in the Hedayah International Centre of Excellence for Countering Violent Extremism. Born out of the Global Counterterrorism Forum (GCTF), the main intergovernmental body supporting the implementation of the UN’s Global Counterterrorism Strategy, Hedayah started operating independently from its headquarters in the UAE in 2012. Last year, Hedayah started to manage and implement the European Union’s Strengthening Resilience to Violence and Extremism counter-radicalisation programme, otherwise known as STRIVE for Development. After my own attempts to raise awareness of CVE in Georgia, a meeting with Naida Chamilova, Hedayah’s Manager for STRIVE for Development, on the sidelines of an OSCE Counterterrorism meeting in Bucharest in October last year bore fruit. As a result, last month Hedayah visited Georgia to conduct a needs assessment mission. Although the government was hardly eager to discuss the need for CVE, civil society was, and Georgia will now join Central Asia, Jordan, and Turkey in STRIVE. Indeed, it is difficult to fully understand the main factors for radicalisation in Georgia and how to address them without that more comprehensive research. As a result, Hedayah will make an open call for research proposals in the coming weeks. Once complete, the findings will then enable local organisations to implement any necessary CVE activities with Hedayah’s support. The impact of media coverage on violent extremism and radicalisation will also be addressed. But given the failure of the State Agency for Religious Issues to accept that discrimination against Muslims can be a factor in their radicalisation, its refusal to accept that NGOs have an important role to play could prove a major stumbling block. Moreover, those NGOs with the capacity to work in this area have already been singled out for criticism. It is unclear whether the Georgian government will be ready to embrace the same civil society organisations it now directly accuses of “fostering” terrorism.